Karnataka State Tourism Development Corporation Ltd (KSTDC), incorporated in 1971, as a wholly owned company by the Government of Karnataka, is responsible for the promotion and development of tourism and its ecosystem in the State. 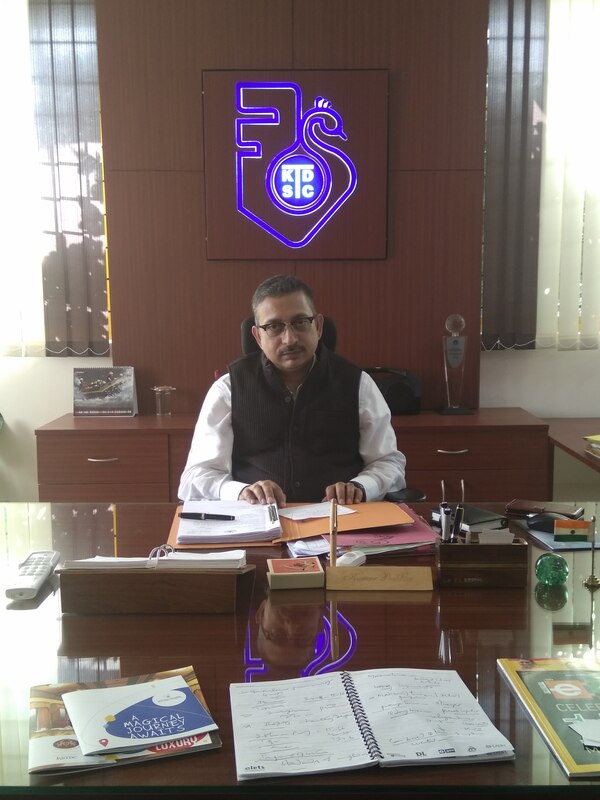 Kumar Pushkar, MD, KSTDC Ltd, shares the company’s mandate, market experience and the use of ICT in strengthening the functions of the corporation, in an interview with T. Radhakrishna of Elets News Network (ENN). The KSTDC Ltd is one of the companies under Department of Tourism, Government of Karnataka. The Department has two companies under its fold – one, KSTDC Ltd and another, Jungle Lodges and Resorts Ltd (JLRL). JLRL is into one vertical that is eco-tourism. Spread over Karnataka, it operates resorts. JLRL promotes Eco, wild-life tourism and adventure tourism and various outdoor activities like trekking, camping, white water rafting, fishing, etc., that are non-consumptive components of eco-tourism and in general help in environment conservation. The KSTDC has the mandate of overall tourism promotion and tourism development. The organisation has been working in tandem with the vision of the Department of Tourism in the state. Besides over all responsibility of the tourism promotion and development, the KSDTC is mandated with running some of the businesses as well. Which are those business? Elaborate them! The KSTDC runs 18 hotels on its own. It has also another 24 hotels given on long-term lease to private players. We also run tour packages for connecting different destinations in the State. We run popular Golden Chariot Train, operating close to 10 years with hospitality partner. We also run 650 airport taxies though they are not owned by KSTDC. We are an aggregator giving service to the airport passengers. Another vertical is running buses in Bannerghatta Safari Park (Zoo). These are mini buses taking visitors inside the zoo showing wild life area. We also are getting into the role of skilled development as per the requirement of the government. We are part of the promotional events of the Government on regular basis. The KSTDC is providing accommodation and transport facilities to the domestic and international tourists. For the purpose of providing accommodation catering and pleasure boating facilities the Corporation is operating Mayura Chain of 18 Hotels, 5 restaurants and 2 boat club in important tourist destinations. The KSTDC is also operating tour packages and safari services with the help of its own fleet strength of 52 vehicles comprising of Luxury Buses, Mini Buses and Volvo buses. The KSTDC operates such tours to various tourist destinations from ½ day tour to 30 days package trips. The KSTDC also provides vehicles on contract basis to the larger groups and student communities. The KSTDC is also undertaking to provide facilities like accommodation and transportation to large conferences and events within the state and outside the state. The Transport tour facilities are being operated from Bengaluru, Mysuru, Hospet and Mangaluru. The KSTDC has been operating post paid taxi service at Bangalore International Airport with 500 AC taxis and 100 non-ac taxies. How strong is the financial status of KSTDC? The KSTDC had not been doing financially sound between 2008-09 and 2014-15 financial years. However, for 2015-06 FY, we registered profit of Rs 28 lakh and for 2016-27 fiscal, we achieved profit of nearly Rs 1 crore. We are expecting more positive during current fiscal. We are improving year-on-year and this is a positive and healthy sign for the KSTDC. How did you improve the business? What were your concerns in finding solutions? Improvement of business is another important area. We found that our standards in hospitality industry are not upto the mark. One property had a different kind of ambience compared to the other one. All properties are located in scenic and prime areas. Probably, inadequate maintenance lacks the standardisation or improvements. We worked hard on these areas and today, I can tell with confidence that we are the one of the best budget class hotels in the state. If you happened to visit any of these properties, you will certainly surprise to see overall look and feel and its services. What about other verticals of businesses that KSTDC have? Package tours is another strength of KSTDC. We commenced recently Punite Yatre – all religion based tours. Under this new initiative, we have tour packages for religions. In the first 10 days from opening bookings, as many as 1000 customers made use of this Punite Yatre. We are expecting to touch the number up to 50,000 in the first six months. In tour packages, we started car-based DETOURS in Bangalore. How it works? Once the booking is done, the car with a guide goes to doorstep of the guest and curated journey. Under City DeTours, places such as Nandi Hills tour, Bengaluru Science and Nature and Nature and Wildlife of Benglaure are covered. There is no hassle of booking of cab. Similar service is also available for outstate tours in the State. They include Excursion Tour, World Heritage Site Tour, Ancient Karnataka, Tour to Western Ghats and Coffee Land, Panoramic Tour, Bengalore to Mysore Tour. Which are the technological changes KSTDC has undertaken recently to improve the business? We have a lot of importance to ICT. Accordingly, we have improved Airport Taxi Management System. We also came out with Airport MobileApp for the convenience of the customers. Earlier, it was call centers based system. Today we are using both systems. We have also refurbished our web site with new look and user friendly. Booking engine system is integrated with online travel agents – MakeMyTrip, Booking, OYO, iBiBo, etc. They are all giving guests today because of the online facility. These are the technological changes to improve our business. Overall objective of the KSTDC is to set a benchmark or a standard with regard to the services. Hospitality is a service industry and improvement is a continuous process. How do you promote international tourism? The Government of Karnataka has entrusted to KSTDC to organise Karnataka International Travel Expo (KITE) in Bangalore from February 28 to March 2, 2018 for international buyers and sellers from across the world. This is first of its kind event in Karnataka.